It’s time to celebrate “the most wonderful time of the year,” do you have all your gifts ready? What about the ones for the guest of honor? You know – the One Christmas is really all about – the REAL meaning of Christmas. For great gift ideas, let’s seek some sage advice from a group of wisemen. Despite the traditional teaching that the wisemen brought three gifts to Jesus, I would like to suggest that they presented at least five gifts to the child king. Yes there was Gold, Frankincense and Myrrh, but I believe they offered some other treasures that were every bit as important and meaningful. Additionally, I would like to suggest that the three traditional gifts carry much greater significance than we often consider. Matthew 2:10 informs us that when the wisemen saw the star, “they rejoiced with exceedingly great joy.” I’m not sure how to quantify “exceedingly great,” but it sounds like a very big deal. The anticipated excitement of seeing Jesus face-to-face caused these men to erupt in an expression that revealed the heart of these foreign worshipers. They found the newborn King worthy of their Praise and Worship. So worthy, that they were willing to lay aside their lives as they knew them to travel a very long and difficult journey for a few minutes in His presence. Not only did the wisemen lay aside their lives and give of their treasures, they also bowed before Jesus as a symbol of their submission to Him. By bowing to Him, they recognized His authority and their subservient status. 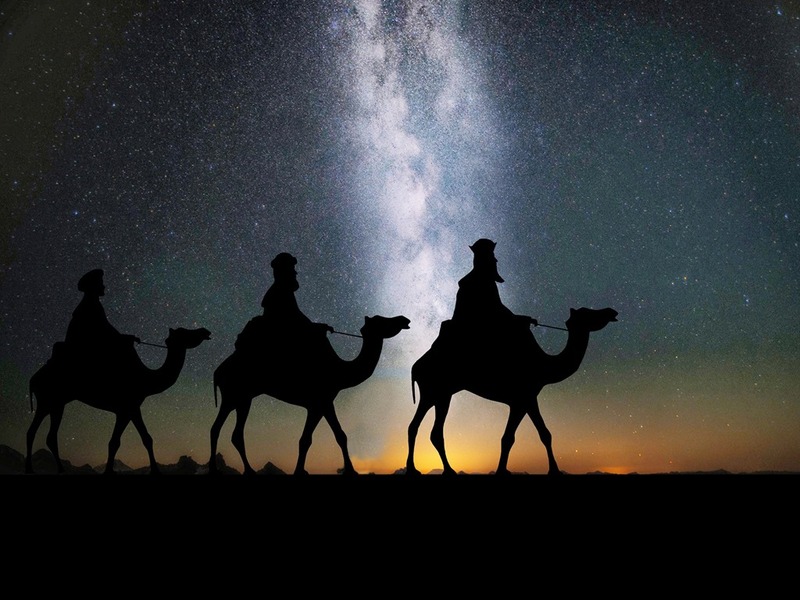 · Great Value – This represented a tremendous financial sacrifice on behalf of the wisemen. · Royalty – Gold is the precious metal of kings. It shows that the recipient is not a common man. · Eternity – Gold was the significant element used in the Temple of God. It is an eternal metal that does not rust away with weather and time. · Untarnishable – While all other men fail and are corrupted in many ways, Gold tells us that Jesus is un-tarnishable. The devil may throw every accusation in the book at Jesus but none of them will ever stick. · Gold is the perfect symbol of Jesus as King! The offering of Frankincense was no less important or significant than the gold. It reveals to us that Jesus was not only King, but also Priest. · Extremely Valuable – At many times in history, Frankincense has sold for MORE than its weight in gold. The challenging process of extraction and refinement combined with limited regions where it can grow and its many uses makes it a highly sought after commodity. · Divinity – Frankincense is symbolic of God. o The sweet citrusy scent altered the smell of the burnt flesh as it was being offered on the altar. o The scent was said to rise before God’s throne. o Revelation 5:8 says that the incense before God is the prayers of the Saints. · Attractive – Frankincense is used in perfume. Though extremely valuable in its own right, the gift of Myrrh reminds us that life is not always beautiful and sweet. Sometimes it is full of bitterness and sorrow. · Extremely Valuable – Like Frankincense and for many of the same reasons, Myrrh has often been more valuable than gold. · Bitter – The bitterness of Myrrh is symbolic of the bitter suffering that Jesus would face when he matured. Betrayed by those closest to Him, beaten and crucified, Jesus took our sins upon Himself and paid the ultimate price that we might be saved. · Essential – Myrrh is an essential element in the recipe for the anointing oil that God gave Moses. While there are several sweet components, the bitter Myrrh was measured out two times any of the other elements except oil which represents the Holy Spirit. · Fragrant – Though bitter to taste, Myrrh smells wonderful and is used in perfume. God embraces our bitterness and sufferings. He is attracted to them. · Healing – Myrrh is useful for healing wounds, sores, skin infections and more. · Myrrh serves as the perfect symbol of Jesus the suffering servant of all humanity. It is my sincere hope that this blog will help you understand the great gifts Jesus gave to each of us on that first Christmas over two millennia ago, and will help you to reflect on your life and the gifts you want to give back to Him during this season. Thank you for a great study. Very Happy you enjoyed it. Merry Christmas!